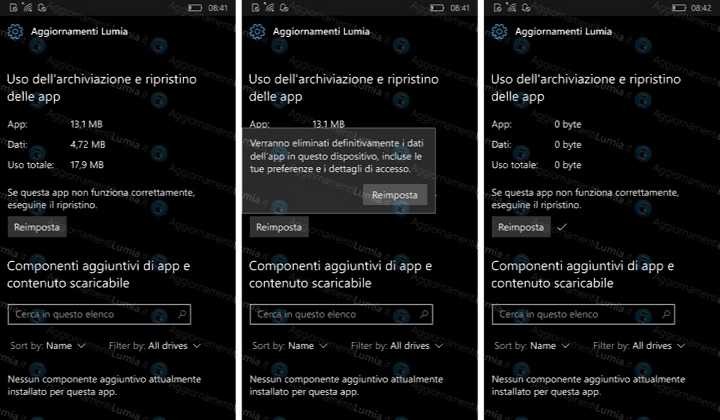 Reset App option, which can reset app to default state is coming to Windows 10 Mobile. The option will be available with upcoming Windows 10 Creators Update. The Reset App button appears in the Advanced app options in the Settings menu. Once you press the button, it will quickly wipe out the app data. The app will return to its freshly installed state without having to uninstall and reinstall the app. This could come in handy for a number of things ranging from clearing up errors to flushing data from a device to free up space. Soon, Microsoft will release this update to Windows 10 mobile fast ring insider members.